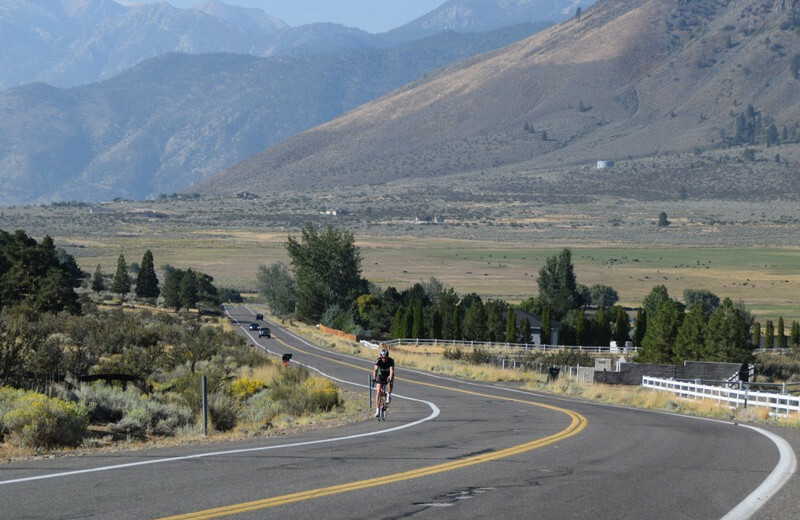 A smooth roadway surface with a sustained climb/descent with low volume motorized traffic. 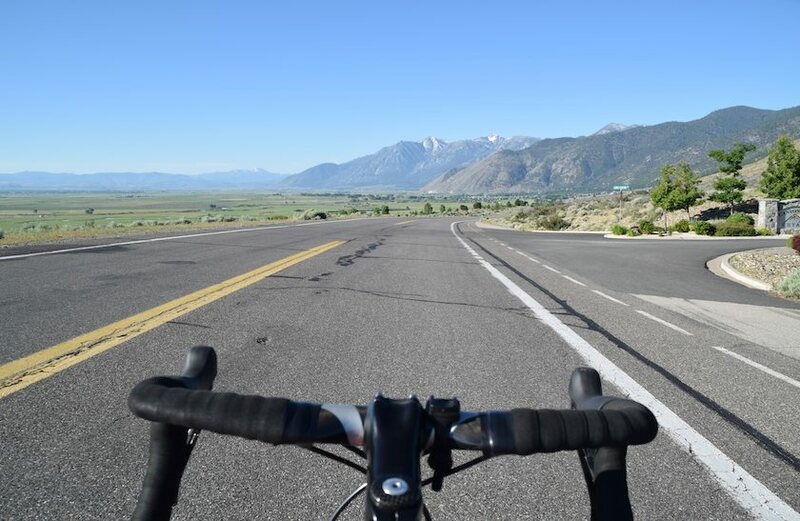 A popular short road bike ride among locals because there are few cars and expansive vistas of the Carson Range and Jacks Valley. 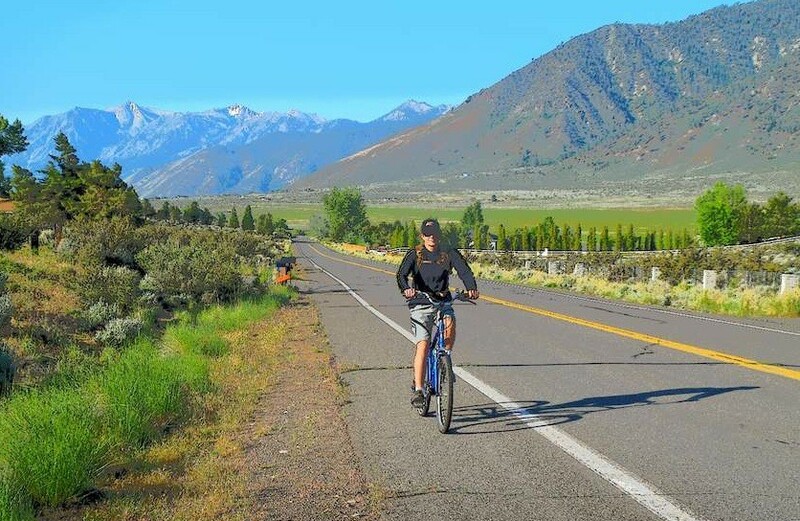 In sections it parallels the original Pony Express Route and ends in Genoa, the location of the Mormon Station – Nevada’s first settlement and saloon where you can still enjoy a whiskey or another beverage. There are a couple of golf courses and a lot of history. Should you continue south, beyond Genoa, the road name changes from Jacks Valley Rd. to become Foothill Rd. Check out Genoa event calendar as there are many interesting special events from Cowboy Poetry reading to the Candy Dance in September-a large local crafts event that attracts over 15,000 people. 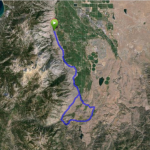 Pony Express Ride, Diamond Valley Loop and Emigrant Loop. 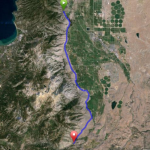 This southern section of the California Trail was locally named the Emigrant Trail and was highly used by the emigrants and the Pony Express traveling over the Sierras to and from Carson City to Placerville/Sacramento. 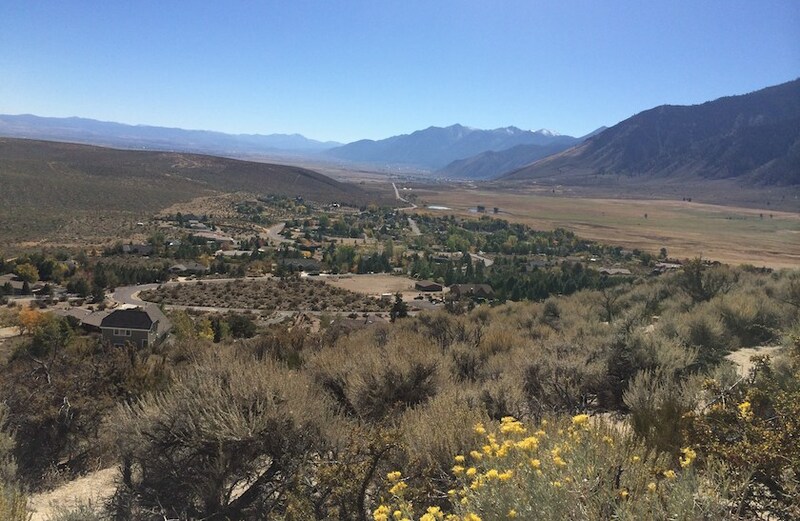 Genoa is the first town settled in the State of Nevada in 1789, but before that it was settled by John Reese and his party (Mormons) to set up a trading post in what was then the most western of the Utah Territory in 1851. It was the first permanent settlement in the Utah Territory. In 1855, Orson Hyde, a Mormon Church elder from Salt Lake City, UT was tasked with setting up a government, Mormon Station Genoa, and defining a state line between California and Utah Territory. It’s believed the name Genoa came from Hyde’s admiration for Christopher Columbus and his birth place in Genoa, Italy. The station prospered as thousands of the emigrants used the Overland Emigrant Trail passing through its current main street location. Today there are several historical buildings: Genoa Bar, Masonic Hall, Courthouse Museum, Community Church (1890), Pink House (1856), Kinsey House (1855), A. C. Pratt House (1872), and the Mormon Station State Historic Park. At the Mormon Station there is also a statue honoring Snowshoe Thompson. Snowshoe carried mail to and from Virginia City, NV and Sacramento, CA over the Sierra’s during the winter months because he believed the mail still needed to be delivered during the winter months. He volunteered to deliver the mail and traveled by foot and 10 foot long skis-taking him two days to Sacramento and three days to return to Virginia City.